It's time to let your imagination run wild this weekend at the Annual Fairy Festival in Jackson! 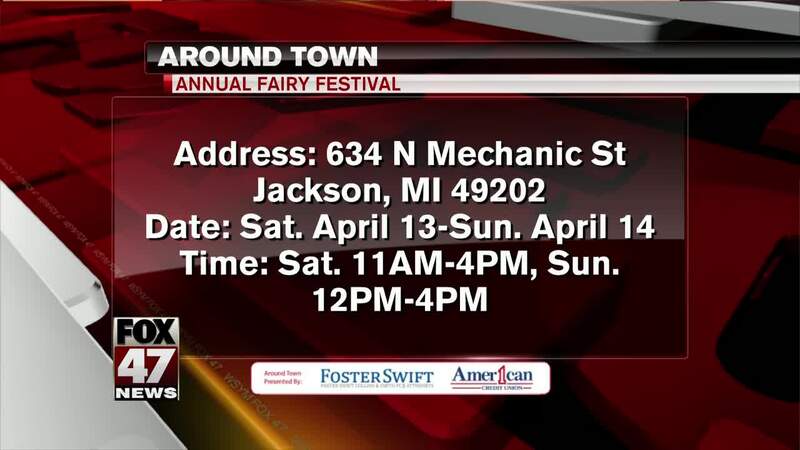 JACKSON, Mich. — It's time to let your imagination run wild this weekend at the Annual Fairy Festival in Jackson! It's happening Saturday and Sunday. Activities, crafts, carriage rides, performances, and vendors will all be on hand for the festival. You can even have the change to meet a fairy princess and travel to Neverland with Captain Hook on Magical ship. Don't forget to dress up too! We'll have more local events and things to do right here on FOX 47. If you have an event you want to share, send us an email aroundtown@fox47news.com.